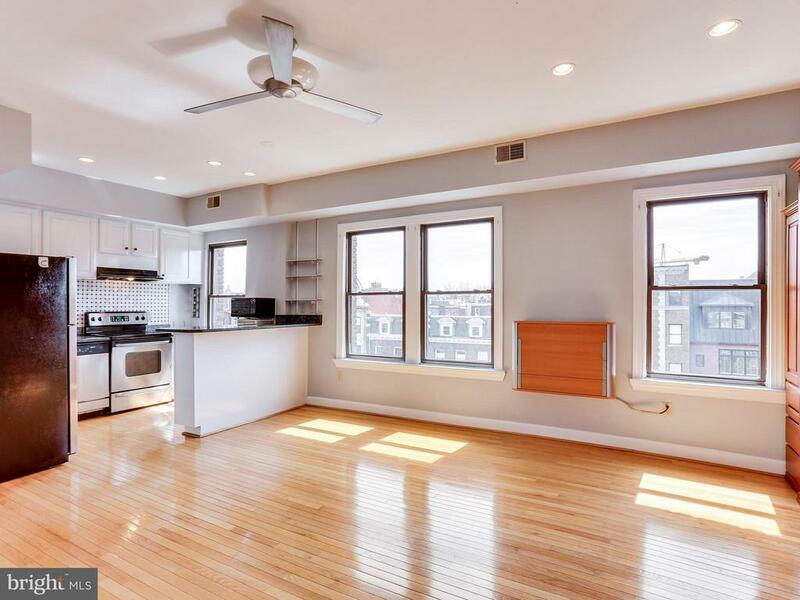 THE top floor studio of your dreams! Thoughtfully designed w/custom cherry murphy bed, California closet, built in ironing board, hamper & desk, + recessed lights. HW floors & kitchen with solid wood cabinets, granite, under cabinet lighting & SS appl. New fire pit and grill + storage. Just a few blocks to U, Adams Morgan & metro! Walk Score of 91! 2 Visitor Park Pass for behind building included!